Bordeaux, June 30th, 2017 – Whether in Bordeaux or Asia, the Vinexpo Challenge, is an eagerly anticipated event, giving wine professionals a chance to try their hand at blind tasting – a difficult exercise but in a friendly setting. 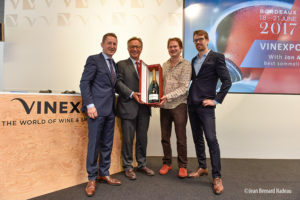 Jon Arvid Rosengren, the World’s Best Sommelier in 2016, selected five white and five red wines from exhibitors at Vinexpo Bordeaux 2017, opting for a balance between classics and more distinctive or specialised wines. Co-hosted by Vinexpo’s CEO Guillaume Deglise, the tasting was fun and informal with Jon on hand to advise. This was undoubtedly one of the highlights of Vinexpo where concentration is key. Jon Arvid Rosengren explained that the important thing is not to intellectualise one’s response to the wine but to allow it to ‘speak’, to tell its story. Stéphane Saillet, the French producer of Mauperthuis Marronniers Chablis, won this year’s particularly difficult challenge, with 49/100 points, and was rewarded with a jeroboam of Bollinger Spécial Cuvée. His encounter with the World’s Best Sommelier in 2016 and the winemakers in attendance was certainly an unforgettable experience! 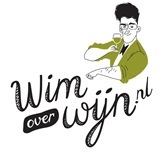 Dit bericht is geplaatst in Internationaal, Nieuws, Opleiding. Bookmark de permalink.